Mrs. Glenda Ligon Miller, age 77 of Lebanon, passed away Thursday January 4, 2018 at Quality Care in Lebanon. Born in Wilson County October 9, 1940 to the late Mack Ligon, Sr. and Fannie Davis Ligon she was one of seven children born to this union. In addition to her parents she is preceded in death by her husband, John R. Miller; brothers, Mack Ligon, Jr., Huffman Ligon, Wendell Ligon; and sister, Dolores Spickard. Mrs. Miller was retired from LoJac where she worked as a bookkeeper and payroll clerk. She was a member of Immanuel Baptist Church. 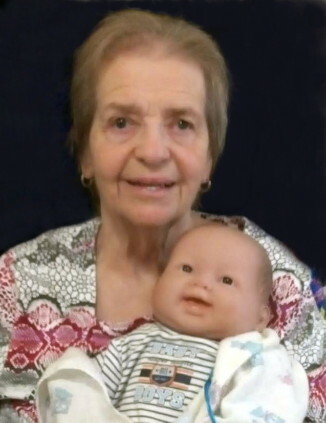 She is survived by daughters, Jackie (Johnny) Davenport and Melanie (Johnny) Rader; grandchildren, Jennifer (Michael) VanHook, Julie (Dusty) Jones, Jeffrey (Meredith) Davenport, Jerry Taylor, Meriam (Kevin) Whited, Joel (Tracey) Taylor, and Melissa Taylor Uphof; great-grandchildren, Caden & Lila Jones, Levi & Turner Davenport, Wyatt & Wade VanHook, Avery Taylor, and Houston & Eli Whited; brother, Bennie (Ernestine) Ligon; sister, Wilma (Roger) Lancina; and sisters-in-law, Betty Grace Ligon and Beverly Goad Ligon. Funeral services will be held on Sunday January 7, 2018 at 2pm from Ligon & Bobo Funeral Home. Pastor John Hunn will officiate and interment will follow in the Barton’s Creek Cemetery. Visitation will be on Saturday from 2pm until 7pm and again on Sunday after 1pm. In Lieu of Flowers memorial contributions may be made to the Alzheimer’s Association. Pallbearers will be; Jerry Taylor, Joel Taylor, Kevin Whited, Michael VanHook, Dusty Jones, and Jeffrey Davenport. Special Thanks to those Caregivers who have given so much time caring for Mrs. Glenda. Your kindness and love are greatly appreciated. I am so sorry for the loss of your mother, grandmother, sister, aunt, mother-in-law and friend. Glenda was a friend and neighbor of my mother for a couple of years. It was with sadness that she had to move due to Alzheimer’s. Her daughter Jackie Davenport, my friend was so good to her mother visiting her everyday and taking her grandchildren to see Glenda. I pray God gives you all the strength you need to get through these next few months. Love to you all. The journey has been so hard but you were a good daughter…there are no words that can describe the joy knowing she is whole again and yet the heartache I feel for all of you. Praying for comfort and peace. My sincere condolences to the Miller family. As you cherish Glenda’s memory, may the loving promise at Isaiah 65: 20-25 bring a measure of comfort to you. Jackie, so sorry for your heartache, but knowing your mother is alive and whole in loving hands, let that be your comfort. God Bless. John D. I am so sorry for the loss of your mother-in-law. Thoughts and prays go out to you and your Family.